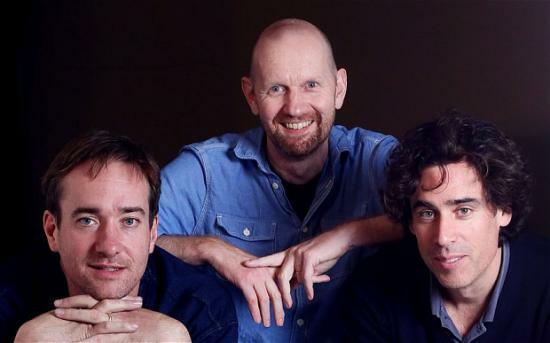 The Telegraph has shared this gorgeous new photo and great interview with Matthew, Stephen Mangan and Sean Foley. Matthew Macfadyen will bring to his Jeeves the same still poker face he deployed to such effect in Spooks, but having starred in Private Lives (opposite Kim Cattrall), he also knows about stage mayhem. So that’s all tickety-boo. But there is a twist. In what is being billed as An Evening with Jeeves and Wooster, there is just one other actor in the cast. So in this adaptation of The Code of the Woosters — the one with the cow creamer — who is going to play Roderick Spode, Sir Watkyn Bassett, Gussie Fink-Nottle, Stiffy Byng and, with no actress on the payroll, the redoubtable Aunt Dahlia? The answer is that the ever resourceful Jeeves will, with the help of his valeting colleague Seppings. He will also supply set, costumes and lighting.